Islamic finance industry has shown an impressive growth of 15-20 per cent per annum with assets under management valued at $1 trillion. The industry is projected to reach $2 trillion in the next three years. Islamic finance has become a global phenomenon with a number of non-Muslim countries also showing keen interest in this area. United Kingdom intends to make London the hub of Islamic finance with plans to issue sovereign sukuk and amend tax laws on Islamic finance. Hong Kong is working towards becoming the Islamic finance gateway to China. Governments in a number of other countries including France, Germany, Japan, Singapore and South Korea are also taking measures to promote Islamic finance. The recent global financial crisis has given more credibility to Islamic banking and finance. A study conducted by some IMF officials in 2009 reveals that Islamic financial institutions have shown more resilience than their conventional counterparts (interest-based financial institutions) during the global financial crisis. This excellent performance is attributed to the business model used by Islamic banks which ‘prohibits’ them from engaging in complex derivative financial instruments and other speculative activities. 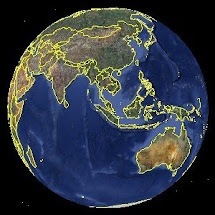 It is interesting to point out the case of countries which have in operation a dual banking system (i.e. both the interest-based and non-interest banking systems). 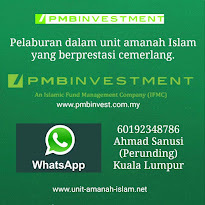 Malaysia, for instance, is one such country and it has fared extremely well during the global financial-crisis, whereby the effects of the crisis on the overall economy were neutralised by the good performance of the Islamic financial institutions. Sukuk overview: Sukuk contracts signify sale and purchase of a Shari’ah compliant asset based on various Islamic contracts including Murabaha (deferred payment), Ijarah (leasing of specific assets), Mudaraba or Musharaka (different forms of participation in joint venture businesses). Therefore, the issuance of sukuk is not an exchange of paper money for interest but rather an exchange of Shari’ah compliant asset that allows the investors to earn profits from the transaction. Malaysia pioneered the sukuk market with the issuance of the first such instrument in 1990. Since then the global sukuk market has surged to $169 billion in 2011. Malaysia led the way with 62 per cent share followed by Middle East with a 26 per cent contribution. A number of non-Muslim countries are also venturing in the sukuk market including United Kingdom, Germany, France, Turkey, Russia, Brazil, Jordan, Australia, Philippines, Sri Lanka, Nigeria, Senegal, Egypt, Korea and Sudan. Excess liquidity from surplus savings in Asia and oil revenue countries across Middle East will be key divers for sukuk growth. This opportunity can be capitalised by the governments as well as private sector in both Muslim and non-Muslim countries to issue sukuk as an attractive capital market instrument. 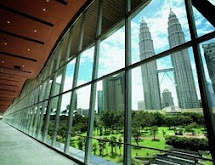 Malaysian experience: The maturity and depth of Malaysian sukuk market has ensured a thriving local secondary market, a goal that still most countries are struggling to achieve. A vibrant sukuk market in Malaysia has attracted a number of foreign issuers who are seeking to diversify funding options. Shari’ah Advisory Council of Malaysia recognises Bai Dayn or debt trading as one of the acceptable principles for Sukuk issuances. This is not acceptable outside Malaysia, especially GCC and Pakistan, as such contracts are backed by debts/receivables rather than tangible assets. Malaysian sukuk issuers started using the participatory contracts of Musharaka and Mudaraba since 2004, following which sukuk market in the country has witnessed tremendous growth. Several measures have been put in place to develop the sukuk market in Malaysia. 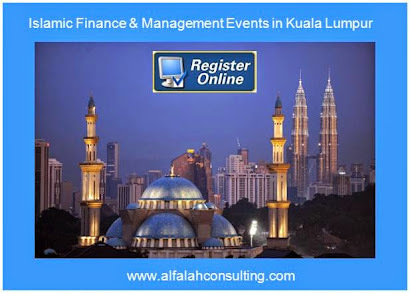 An important step was the launch of the Malaysia International Islamic Financial Center (MIFC) in 2006, with the aim of promoting Malaysia as the international Islamic financial hub and the centre for Sukuk origination globally. Another significant initiative was the liberalisation of regulations to allow foreign issuers to raise Islamic bonds in the Malaysian capital market. This has led to several issuances of Islamic bonds by multilateral agencies. GCC approach: Huge government initiatives coupled with growing private sector activity have stimulated the GCC sukuk market, after a brief setback in 2010. The trend in the region indicates increasing role of sukuk in fund raising due to investor preference for Shari’ah compliant instruments. With a strong regulatory framework, Bahrain has been the most active sukuk market in the GCC region and the first government to issue sukuk. Despite several sukuk issues, the market is not sizable due to small issue size. Furthermore, recent law and order issues in the country have tarnished Bahrain’s reputation as the Islamic finance hub. Nonetheless, the country issued $530 million sovereign sukuk in 2011. Although Saudi Arabia and UAE have been relatively less active countries in the GCC, the two together claim a significant share of the GCC domestic issuance. They have a mix of sovereign, quasi-sovereign and corporate sukuk while all domestic sukuk from Bahrain has been sovereign. Sukuk market in Saudi Arabia is expected to show impressive growth with government inclination towards it for financing a major portion of infrastructure investment, estimated in excess of $750 billion. The government has already announced that the new King Abdul Aziz Airport project in Jeddah will be financed through sukuk. Qatar is fast emerging as a key sukuk market in the region, with Qatar Central Bank issuance of $9 billion three-year sukuk in January 2011 to mop up liquidity. The kingdom has aggressive infrastructure development plan including a new downtown in Doha, a new Doha international airport, and facilities for the 2022 World Cup. 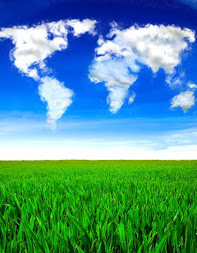 Sukuk are likely to play an important role in financing these projects. To enhance the role of sukuk in GCC project finance, tenors will have to be increased beyond five years and innovation will be required to satisfy the dynamic market needs. The sukuk market in the region also lacks standardisation resulting in added cost and complexity since underwriters need to hire their own Shari’ah scholars to obtain a verdict on Shari’ah compliance. On the contrary, Malaysia has standardised contracts. The Hawkamah Institute for Corporate Governance in Dubai has announced plans to standardise Ijarah-based sukuk used in sale and lease agreements in real estate purchase. Another area that needs to be addressed in the GCC is the illiquidity of the sukuk market, unlike Malaysia. Secondary sukuk market trading platforms in GCC are limited, present only in Bahrain, Dubai and Saudi Arabia. GCC secondary sukuk market is also characterized by transparency issues. Pakistan’s performance: Pakistan’s Islamic banking assets witnessed a compounded annualised growth (CAGR) of 28 per cent during the past five years; presently accounting for a market share of 7.3 per cent. The sector has attracted foreign investment despite political turmoil. Albaraka Banking Group BSC, Bahrain’s biggest publicly traded Islamic lender, extended its branch network to 90 after acquiring Emirates Global Islamic Bank in 2010. Meezan Bank, controlled by Kuwait’s Noor Financial Investment, plans to open 225 new outlets in the next four years. In line with industry trends, sukuk market in the country has grown more than ten fold during the period 2006-11. The slowdown in domestic sukuk market in 2008, was a consequence of global financial turmoil. Subsequently, the government’s sukuk issuance has stimulated the market. Domestic sukuk market has emerged as an attractive avenue for placement of excess liquidity by Islamic financial institutions which have allocated almost 90 per cent of total investments towards sovereign sukuk. Corporate sector accounted for a major share in sukuk issuances till March 2009. Subsequently, the situation has reversed with sovereign sukuk constituting more than 68 per cent of total value of sukuk issued in 2011. In line with global trends, the shift in sukuk contribution may be attributed to a general economic slowdown whereby corporate entities remained wary of raising funds through Sukuk issuances while investors were inclined towards safer sovereign sukuk issuances. Defaults in some local corporate sukuk have adversely affected investor sentiment making this avenue difficult for capital raising. The sukuk instruments issued to date are concentrated in the short to medium-term tenor ranging between 3-7 years. Ijarah is the most commonly used sukuk structure in Pakistan followed by Diminishing Musharaka and Musharaka. The popularity of Ijarah sukuk is attributed to its simple structure, tradability and flexibility to monetize existing assets for raising funds. Ijarah structure particularly suits governments as it can securitise infrastructure related assets including motorways, airports and power plants to finance budget deficits. All sukuk issuances by the government have been Ijarah based. The use of sukuk funds raised by the government for financing infrastructure projects is questionable. This suggests the need for Shari’ah scholars to effectively monitor the real purpose of financing to ensure the integrity of an Islamic financial system. relied on interest rate benchmark such as KIBOR to determine profit rates. Furthermore, the development of government sukuk market has facilitated liquidity management for Islamic financial institutions in addition to improving their asset quality. Attractive yields on sukuk have encouraged Islamic banks to reallocate assets from interbank placements (low return investment avenues) to Islamic bonds, resulting in enhanced profitability. Conclusion: Sukuk market offers strong potential for raising funds required for infrastructure development in Pakistan, as reflected in the experience of other countries such as Malaysia and GCC. To develop a vibrant sukuk market, the country needs to address several challenges including dearth of short-term and long-term instruments, absence of secondary market for mitigating liquidity risk, identification of assets for sovereign sukuk and disclosure of actual financing purpose. The government should consider establishing an institution on the lines MIFC to provide impetus to the sukuk market in addition to promoting Pakistan’s image in the local and international Islamic finance arena. However, real progress towards the advancement of sukuk market requires concerted efforts from all stake holders including regulators, corporate sector, Islamic financial institutions and asset management companies.